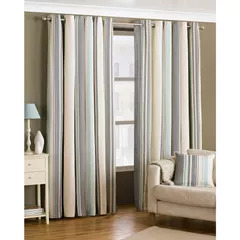 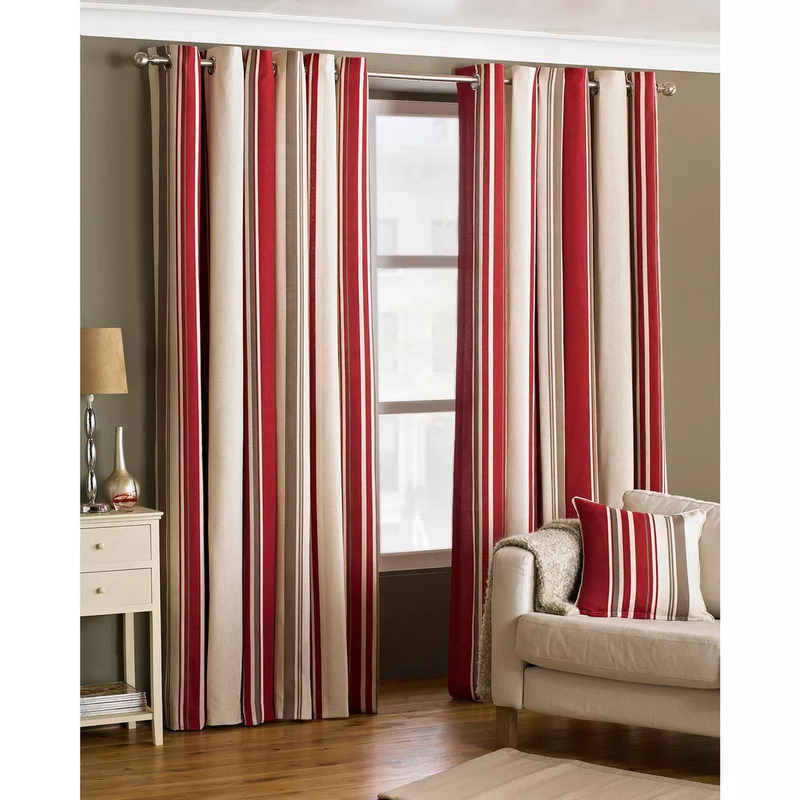 A wonderful and well co-ordinated stripe design allows the Broadway lined eyelet curtains to provide a touch of contemporary appeal to any room. 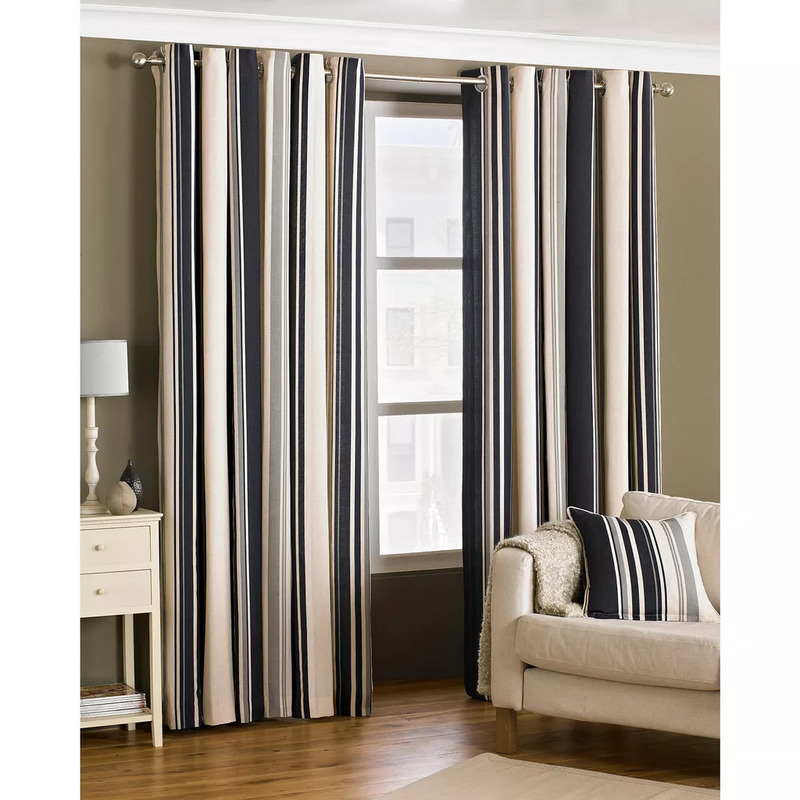 Fully lined and crafted from cotton rich material. 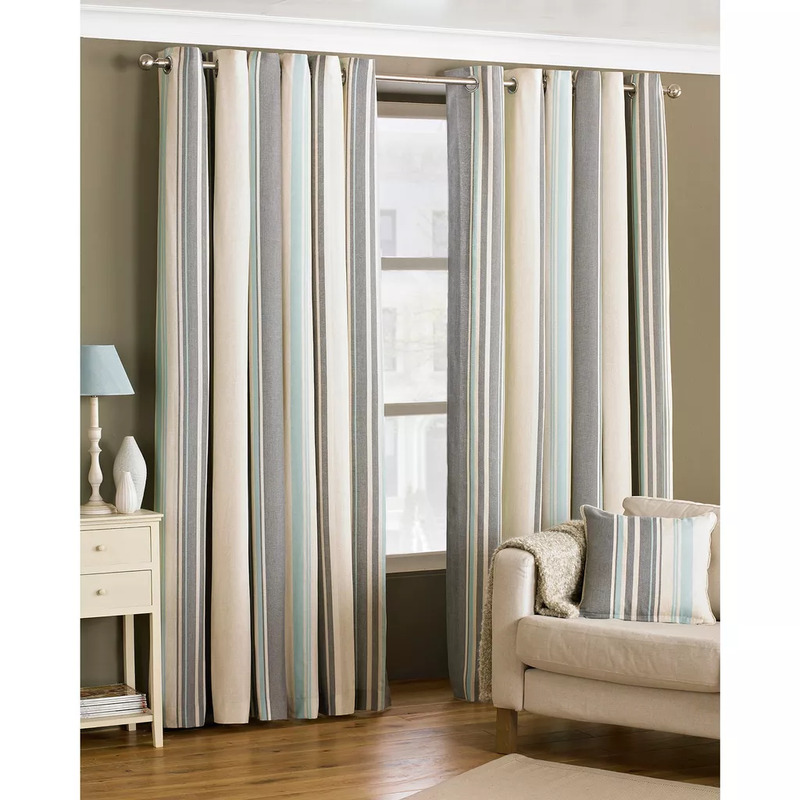 The Broadway curtains create a tastefully stylish atmosphere, along with an eyelet ring top heading for that extra modern touch. 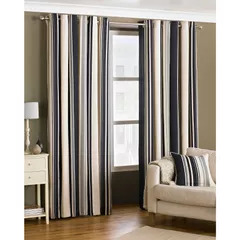 These curtains are incredibly soft making them fall effortlessly while also able to withstand the everyday wear and tear of a hectic household. These curtains feature stainless steel eyelet holes for easy installation with no need for hooks or rings.